Please read the following Terms and Conditions (“TERMS”) carefully before you register as a member of OMGQueen.com or order any OMGQueen.com product. The TERMS contain important details about your own rights and obligations as well as limitations and exclusions that may apply to you. You must be a NATURAL PERSON who can fulfill your CIVIL CAPACITY or any kind of LEGAL ORGANIZATION to register the membership of OMGQueen.com. Otherwise, OMGQueen.com has the right to refuse selling any product or offering any service to you. OMGQueen.com also has the RIGHT to pursue the LIABILITY. OMGQueen.com has the PRIVACY POLICIES which are included in TERMS. OMGQueen.com will not disclose any personal data which including Name, Gender, Age, Birth Date, any Photo ID Numbers, Phone Number, Address, E-mail Address or any other personal details without your permission. OMGQueen.com will gather Impersonal Information through your IP Address, in order to investigate and analyze customer distribution. Impersonal Information is crucial for OMGQueen.com to improve customer services and customer feelings. OMGQueen.com products are made of 100% healthy human virgin hair, and under highest quality-control system. The products are harmless to your body. 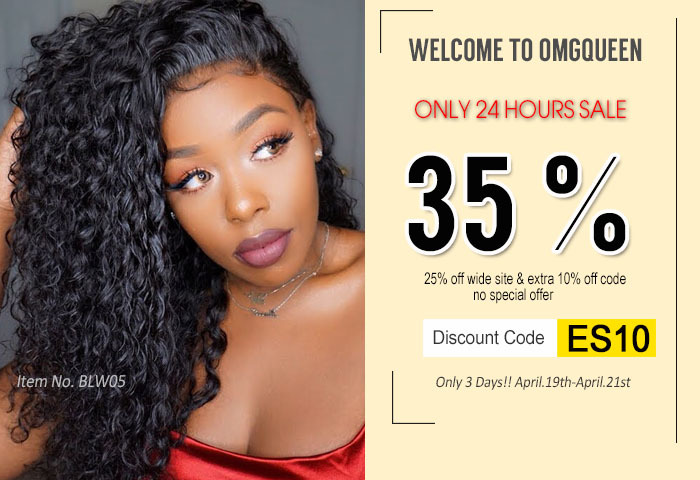 But if you ordering any bleached and dyed products of OMGQueen.com, please be aware and clearly notice that if you are allergic to some kinds or any bleach or dye; or you have allergic history. Contact [email protected] if you have any condition mentioned above before your orders. Otherwise, OMGQueen.com has no responsibility to your anaphylaxis. In order to help customers get more directly visual feelings, OMGQueen.com uses a few numbers of images from Internet. If you figure out OMGQueen.com using any image without your permission, please send color copy of your valid photo ID to [email protected]. After confirmation, OMGQueen.com will dismiss and replace the images immediately. OMGQueen.com always takes every effort to make our product shipments on time. However, due to extreme weather, natural disasters, holidays, policy alterations by local customs or any other force majeure, you don’t receive your ordering on time, please contact [email protected]. In order to improve customer services and fulfill customer demands, OMGQueen.com might adjust the website at any time without a prior notice. If you figure out that the images and descriptions of any order you have issued are different from the original ones when you ordered the products, please contact [email protected], we will give you a satisfied response. Any image or icon displayed on OMGQueen.com, is either the property of, or used with permission by OMGQueen.com. Any unauthorized use of these images or icons may violate copyright laws, trademark laws, the laws of privacy and publicity, and any other applicable regulations and statutes. Any product, service, program or technology described in any document published by OMGQUEEN.com, may be the subject or other intellectual property rights owned by OMGQueen.com. Any unauthorized using will be pursued the LIABILITY. OMGQueen.com links to other websites operated by third parties, including suppliers and vendors of OMGQueen.com. Do not constitute sponsorship, endorsement or approval by the contents, policies or practices of such linked websites. Linked websites are not operated, controlled or maintained by OMGQueen.com and OMGQueen.com is not responsible for the availability, contents, security, policies or practices of linked websites, including without limitation privacy policies and practices. Links to other websites are only provided conveniences for you, and you access them at your own risk. Without the permission by OMGQueen.com, any natural person or organization is prohibited to use the name of OMGQueen.com to engage in any commercial activity. Also, it is prohibited to use OMGQueen.com as the platform or intermediary to engage in any illegal activity, otherwise the consequences. OMGQueen.com has the right to amend above TERMS legally, so please check TERMS occasionally, in order to notice the latest TERMS. If you continue using the service of OMGQueen.com, it is regards as you accept and are willing to comply with OMGQueen.com amended TERMS. For some specific services, OMGQueen.com will make statements, notices or warnings, which are also regarded as a part of TERMS, by online bulletin, E-mail or SMS alerts, please read carefully. If you continue using the relevant services, it is deemed that you agree and comply with such statements, notices or warnings.